When you create and publish marketing videos, one of the most important metrics that will let you gauge their performance is engagement. As a measure of the impact that videos have on viewers, engagement is the perfect way to determine how your marketing videos are performing. The duration of the video can directly affect its ability to retain viewers – and as such plays a big part in its engagement. As a general rule longer videos will lose viewers over time, while shorter videos are more likely to have a higher completion rate. Several factors affect the optimal video duration for video engagement, such as the type of video, viewer demographic, platform it is published on, and more. Still if you want to increase engagement, a good start is to create shorter videos. The most engaging videos share one factor in common: They provoke a strong emotional reaction when viewers watch them. The exact nature of the emotion is secondary to its intensity as far as engagement is concerned, but funny, inspirational, or surprising videos have a particular propensity for engaging viewers. Using emotions in marketing videos can be tricky, but considering how important it is to video engagement – you should try to focus on it. Compared to other types of content, videos tend to have higher engagement rates – and that is mostly because they are able to leverage visuals in a manner that no other medium can. By delivering information visually, videos make it more likely to attract the attention of viewers while at the same time making it easier to absorb. It is because of this factor that the most common tip for creating engaging marketing videos is to ‘show, not tell’. That holds true in most cases, and you should always try to find ways that you can deliver the message of your videos using its visuals instead of relying on a voiceover or text. See how each of these factors can affect the engagement of your videos and how you can use them to create more engaging marketing videos? At very least you should now understand the areas that you need to focus on. Make no mistake other factors can play a role in video engagement as well, including the video quality. 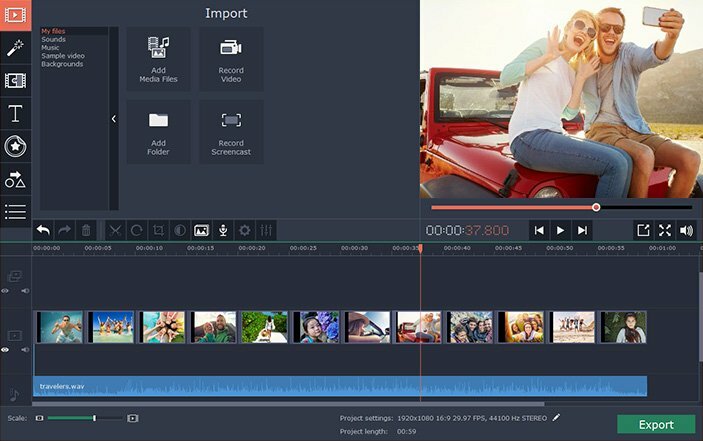 That is why it helps to have an editor you can use to tweak your videos and improve them if necessary, and for example you could use Movavi Video Editor. All said and done creating engaging marketing videos is a lot easier once you understand the factors that play a part in their impact. As you start to apply the tips listed above, you should be able to see how much of a difference they make for yourself.